Our Dezeen Super Store pop-up is now open at 38 Monmouth Street in Seven Dials, London WC2! Join us for a drink to celebrate next Thursday 12 July from 6-9pm. Sounds will be provided by Dezeen Music Project and Big Jambox. The store is open until 30 September 2012 so if you can't make the party you can visit during the Olympics or the London Design Festival. Don't forget to print out the flyer to get a 10% discount (details right)! 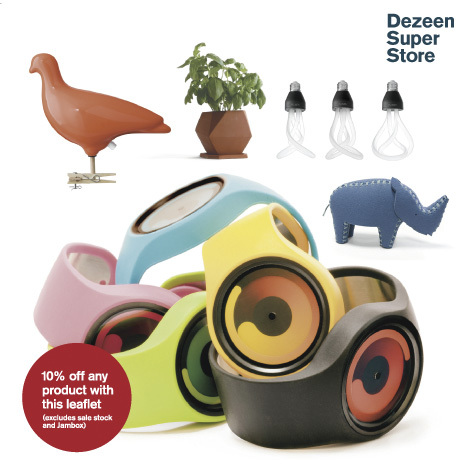 Dezeen Super Store is a micro-department store featuring Dezeen Watch Store, a Designed in Hackney Shop selling items designed in our home borough plus The Temporium, showcasing a constantly changing range of cool products we've selected from around the world. 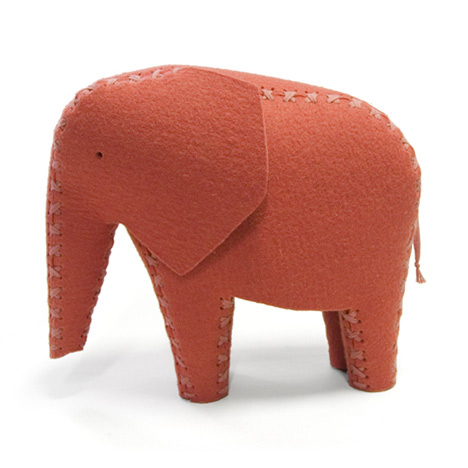 New this week is Ronny the Elephant, a felt toy that you can use like a puppet designed by German designer Daniel Böttcher. Meet Ronny and his friend Peggy the Rhino at our store! Dezeen friends can get 10% off any purchase (excluding sale stock and Jambox) by downloading this flyer and presenting it at the store when you buy. 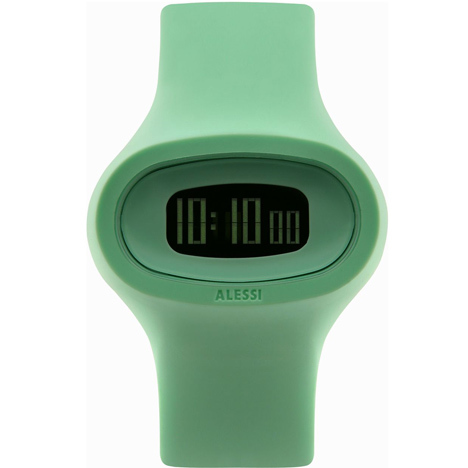 We've got some fantastic offers on designer watches both online at Dezeen Watch Store and at Dezeen Super Store. Check out the discounts online or pop into 38 Monmouth Street to try on your favourite.